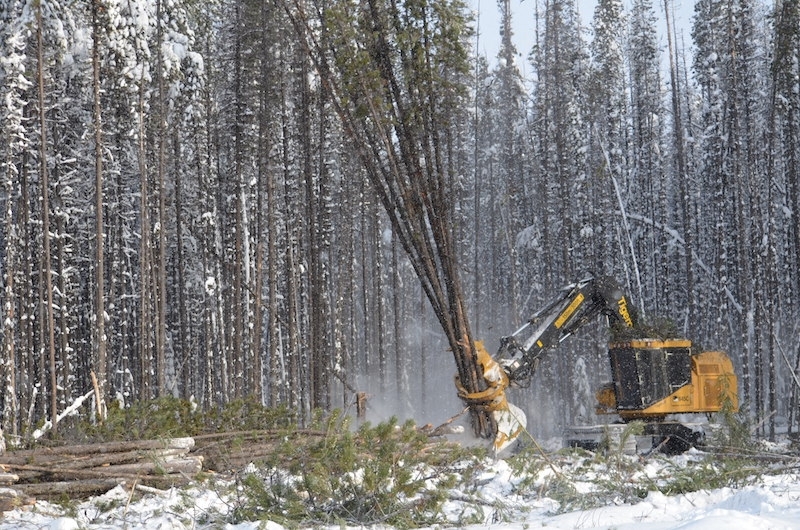 Two years ago CFI published our first Contractor Survey in 15 years, which took the pulse of Canada’s logging industry. The project involved hiring independent research firm Bramm & Associates to survey contractors across Canada in both French and English. The data – covering everything from rates and profits to succession plans – was analyzed and compiled into a 54-page report, providing an important snapshot of the health of contractors. But our work didn’t stop there. Armed with this data, we believed it was more important than ever to track the trends. Thanks to generous support from Tigercat and Hultdins, we conducted another cross-Canada survey this year to begin what we hope is a biennial report on the state of the industry. We know these numbers aren’t definitive evidence. Like any poll, it’s assuming a fair sampling of respondents giving honest, accurate information. We gathered a large sample size – 275 respondents – but we did not open any accounting books to confirm the numbers. But, like any good poll, CFI’s survey gives us an idea of where the problems lie, and comparing the results from our 2016 survey tells us which direction things are headed. Scott Jamieson, CFI publisher and 27-year forestry reporting veteran who crunched the numbers in the 2016 survey, says the 2018 reports may be controversial, but will hopefully start a national dialogue about the health of the industry and what the future will bring. The conversation has already begun. David Elstone, B.C. Truck Loggers Association executive director, references the survey in his Coastal View column. Elstone calls the revelations about worsening contractor margins “absolutely startling” and in stark contrast to the peak lumber prices seen earlier this year. “Why does this matter? Are contractors simply complaining they are not making enough money? Of course not. It matters because if contractors cannot be viable, they will leave the sector, as the industry has already seen happen,” Elstone says. Aaron Sinclair, president of Timber Tracks Inc. in Prince George, B.C., also chimes in on the conversation in this issue’s Final Cut column. He says while the survey results show cause for concern, a more measured approach to gauging loggers’ performance is EBITDA, or earnings before interest expenses, taxes, depreciation expense, and amortization expense. Interior contractors should be in the 20-25 per cent range, and Coastal contractors in the 17-22 per cent range, Sinclair says. “Contractors that do not earn sustainable EBITDA are putting the future of the sawmills they service at risk. Unsustainable contractors should be a concern for sawmill investors and the communities they call home. Their capital and tax bases are dependent upon those contractors,” he says. You’ll find the executive summary of the survey reports here. Over the next few issues we will be publishing our regional reports, which narrow in on the numbers and what they mean for loggers in the B.C. Interior, B.C. Coast, Quebec and Atlantic Canada. These reports should spark conversations about what each region is doing differently, for better or worse. We packed the entire 50-page report on the 2018 survey – including direct quotes from the contractors surveyed – into a special digital edition, available for download here. Want to add your thoughts to the conversation? Disagree with the findings or the analysis? We want to hear from you. Send your feedback to mchurch@annexbusinessmedia.com and we’ll happily keep the conversation going.